Daily Oklahoma Cash Grain Prices- as reported by the Oklahoma Dept. of Agriculture on Friday, August 24th. According to the USDA, the total number of cattle on feed this month is up five percent over this time last last year at 11.1 million head as of the first of this month, making this the highest August 1 inventory since the USDA began this series of reports in 1996. OSU Extension Livestock Market Economist Dr. Derrell Peel offered his reaction to the numbers in this month's report after its release on Friday afternoon. According to his analysis, the report implies larger supplies of feeder cattle on the horizon. The summary report indicates that placements in feedlots during July totaled 1.74 million head, 8 percent above 2017. Net placements were 1.68 million head. Peel believes there will probably be some market reaction caused by this report since placements were a little larger than expected- possibly a residual effect of drought forcing lighter weight cattle into feedlots early. Marketings of fed cattle during July totaled 1.87 million head, 5 percent above 2017. Peel says it will be critically important, as it was last year, for feedlots to stay current moving forward to ensure they do not fall behind as they face bigger numbers of cattle month to month. Click here for a look at this month's USDA Cattle on Feed report and listen to Peel's complete analysis. Last week, Professor Emeritus in Agricultural Economics at K-State and very familiar figure in Kansas agriculture, Barry Flinchbaugh, spoke to leaders in cooperative management and agribusiness at the 2018 K-State Cooperative Symposium. Among the many topics Flinchbaugh touched on, Trump's trade war- a subject which Flinchbaugh in typical fashion, pulled no punches. "We are about to embark on a trade war that is frankly, damn stupid! And the evidence is clear, no one... absolutely no one wins in a trade war," he said. "All participants eventually lose." While joining the Trans-Pacific Partnership (TPP) would have been a step in the right direction in dealing with our problems with China, Flinchbaugh says, the important thing now is to ensure the President does not withdraw the US from NAFTA before ongoing negotiations can reach an agreement. Otherwise, he believes there will be irreparable damage to the agriculture economy. Listen to Flinchbaugh opine on these subjects and others, by clicking or tapping here. The North American Meat Institute joined up with Memphis Meats, a San Francisco-based company that's developing cell-based meat to send a letter to the Trump Administration. The letter proposes that the Food and Drug Administration and the Ag Department's Food Safety and Inspection Service share regulatory responsibilities for cell-based meat. The letter says in the case of new or novel food ingredients like this, the FDA should have oversight over pre-market safety evaluations for cell-based meat and poultry products. USDA has traditionally given input to the FDA as part of the regulatory process for new products, which the letter says should continue. "After pre-market safety has been established, USDA should regulate cell-based meat and poultry products, as it does with all other meat and poultry products," the letter says. "USDA will apply relevant findings from FDA's safety evaluation to ensure that products are safe, wholesome, and properly labeled." The U.S. Cattlemen's Association weighed in, saying it's "concerned about the use of the term 'meat,' but the commitment to come to the table to propose solutions is a step in the right direction." Click here to read the complete response from the USCA to this proactive step taken by Memphis Meats. John Pfeiffer is the sitting vice president for the American Angus Association and will likely transition into the president's role this November at the association's annual convention in the home state of the Certified Angus Beef program, Columbus, OH - held there this year as part of the brand's 40th Anniversary celebration. Previously, Pfeiffer rotated through the chairs of the Certified Angus Beef program. He served as chairman, when CAB hit a million pounds of sales a few years ago, thanks in large part to an increased presence in the international marketplace. Pfeiffer said in a recent conversation that there are lots of branded beef programs out there, but there's only one Certified Angus Beef. 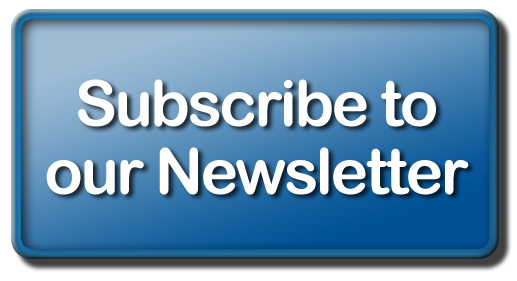 "It is the gold standard program at this time and it's not just because of the meat. It's because the angus cow has so much to offer producers," he said. "So, even though the program has become the gold standard for meat quality, it's because the background of the cow and what she can do for the breed and the breeders and the people raising them that makes this program work." A big part of the success of this program is that the genetics in our national cow herd are getting better, allowing CAB to source more cattle for the program. Pfeiffer remembers that when the program first started, the acceptance rate was only around 2 to 4 percent. This past year, though, he says months went by where the acceptance rate stayed above 35 percent. "Because of that, we've been able to do a lot more marketing because of the supply. And it's just a complement to our breeders to think that they have worked to producer that supply," he remarked. "And, they've done that through picking the right genomics and the right animals." Listen to Pfeiffer and I discuss the incredible success of the CAB program over the past 40 years, on last Friday's Beef Buzz - click here. Dating back to 1891, Stillwater Milling Company has been supplying ranchers with the highest quality feeds made from the highest quality ingredients. Their full line of A & M Feeds can be delivered direct to your farm, found at their Agri-Center stores in Stillwater, Davis, Claremore and Perry or at more than 125 dealers in Oklahoma, Arkansas, Kansas and Texas. 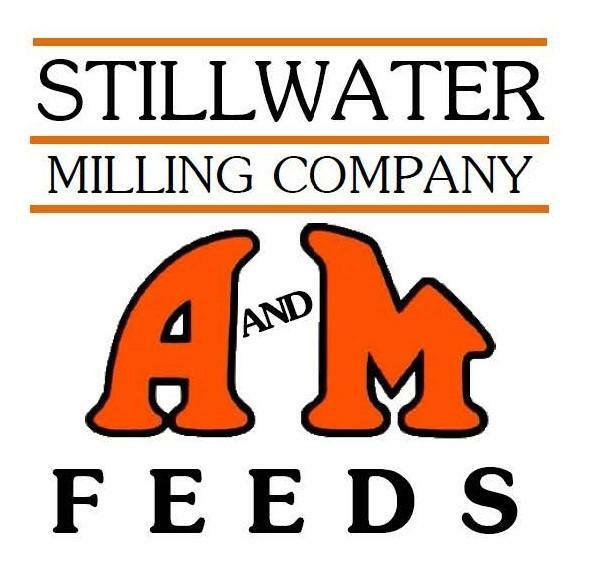 We appreciate Stillwater Milling Company's long time support of the Radio Oklahoma Ag Network and we encourage you to click here to learn more about their products and services. OSU's Food & Agricultural Products Center (FAPC) is challenging college students to share their creative and innovative ideas for new food and beverage products in November for a chance to compete in a product innovation competition. 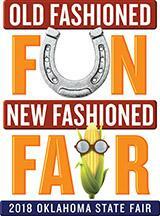 The Food Product Innovation Competition will take place Nov. 8. However, individuals or teams must complete the entry form by Oct. 10. Entries will be judged on both oral presentation quality and product characteristics and will be evaluated for consumer appeal and market potential; clarity and organization of presentation; product and process description; product appearance, texture and taste; creativity and uniqueness; and commercial process description. "This is a great opportunity for students to share their ideas and network with food industry professionals," said Chuck Willoughby, FAPC business and marketing relations manager. "The competition also supports FAPC's vision of fostering innovation and growth and preparing students for careers in the food industry." For more information about the Food Product Innovation Competition description and rules, click over to our website. The competition was fierce at the Lazy E Arena at the 2018 edition of the Oklahoma Cattlemen's Association (OCA) Ranch Rodeo. When the dust settled- Buford Ranches of Hominy were repeat winners at the 34th Annual OCA Ranch Rodeo- named Champions with a fifty point cushion over Reserve Champions- Whitmire Ranch of Delaware, Oklahoma. Third place was claimed by Hall & Daube Ranches, Fourth was Spur Ranch and fifth place was claimed by Choctaw Nations Ranches. 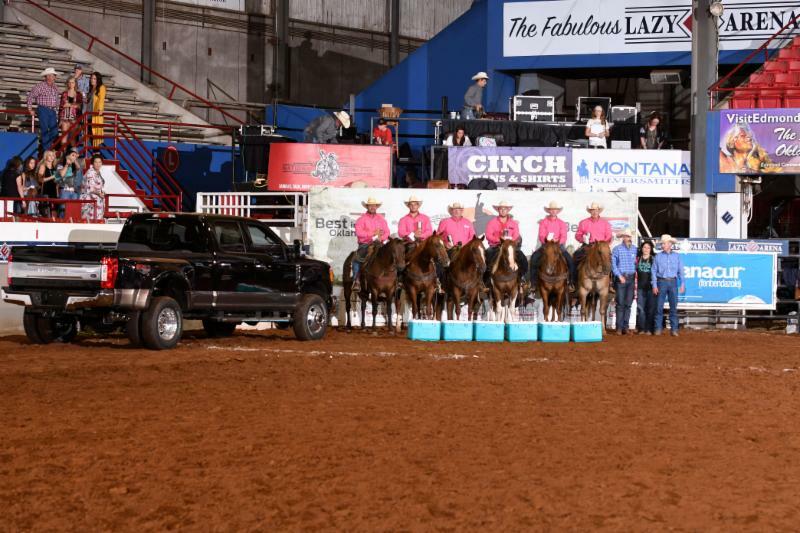 Buford claimed first place in the Saddle Bronc and Wild Cow Milking while Whitmire Ranch was best in Team Penning- Hall and Daube won Team Branding and Treadwell Ranches claimed first in Stray Gathering. The 34th Annual event consists of twelve ranch teams of 'real ranch' cowboys that compete in five different events mirroring many of the activities they do on the ranch. The Children's Hospital Foundation has been the selected charity since 1997. In that time OCA has donated more than $475,000 to CHF to help fund children's medical research and treatment for children right here at home in Oklahoma. No picture from Saturday night yet- but here is the Buford Ranch Champion Team from 2017 that repeated this year at the Lazy E and will represent OCA once again at WRCA 23rd World Championship Ranch Rodeo this November in Amarillo. With a fourth case of African Swine Fever (ASF) confirmed this past week in China, the U.S. pork industry is taking steps to protect America's pork producers. ASF is a highly contagious disease affecting only pigs and has a high mortality rate. It is endemic in many parts of the world. It's presence in China is of particular concern because of the high volume of trade that country does with the United States and because it exports to America several goods that can harbor the ASF virus, such as amino acids, minerals, vitamins and soybean cakes. If the United States were to get the disease, U.S. pork export markets would close immediately. Iowa State University economist Dermot Hayes estimates ASF would cost the pork industry $8 billion in the first year of an outbreak. The National Pork Producers Council is working with the U.S. Department of Agriculture to strengthen U.S. Customs and Border Protection inspections, to communicate the risks to livestock feed importers and to prevent the virus from entering the country via Chinese feed products. To help in those efforts, NPPC is asking as part of the 2018 Farm Bill for $30 million for the National Animal Health Laboratory Network, which does animal disease diagnostics, and $70 million in block grants for state animal-health agencies for efforts to prevent diseases,in addition to $150 million for a Foot-and-Mouth Disease vaccine bank.